This was my first attempt at portraiture. Back in 2004 I decided to try and get the perfect cover shot for the lonely planet guide to Cuba. 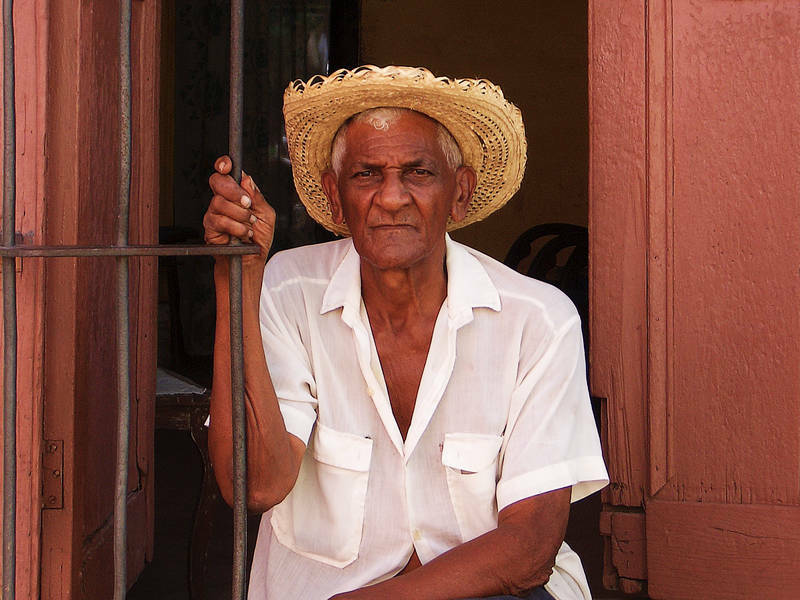 Cuba is a place soaked in history so to get that across I asked some of the old locals if I could take their picture. I liked this shot because of the crooked bars and the way his skin matched the red of the door. This was taken when Fidel Castro was still running the country. I remember someone telling me that he had been in power so long he had seen 10 U.S. Presidents come and go. After returning from Cuba I discovered without a Model Release Statement from the local the image could not be sold. These days I keep spare Model Release Statements in my camera bag at all times. I love this, Jason. I have been flipping through your pictures and you are way cool. I’m impressed ! !